Dutch duo Front404 create interactive installations with humor that aim to surprise and offer a different perspective on the world. 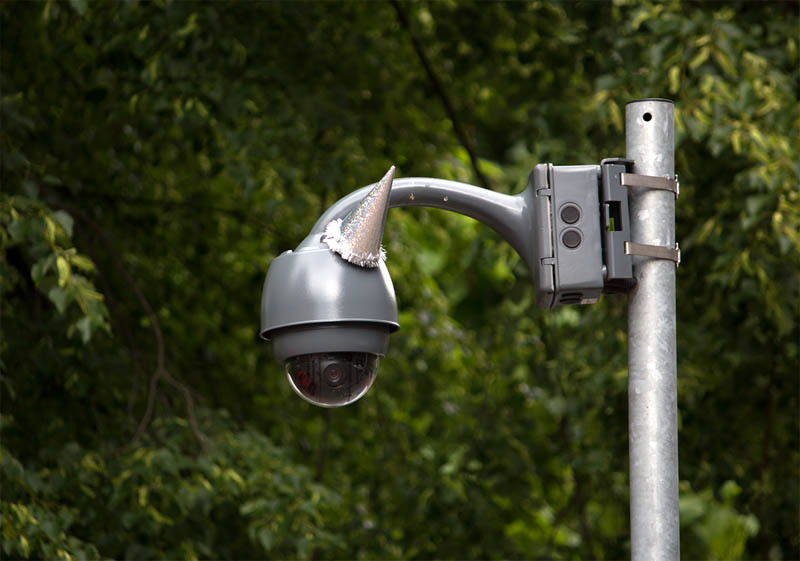 On June 25th, in honor of George Orwell’s 110th birthday, the two, Thomas voor ‘t Hekke and Bas van Oerle, placed party hats on surveillance cameras throughout the city of Utrecht. 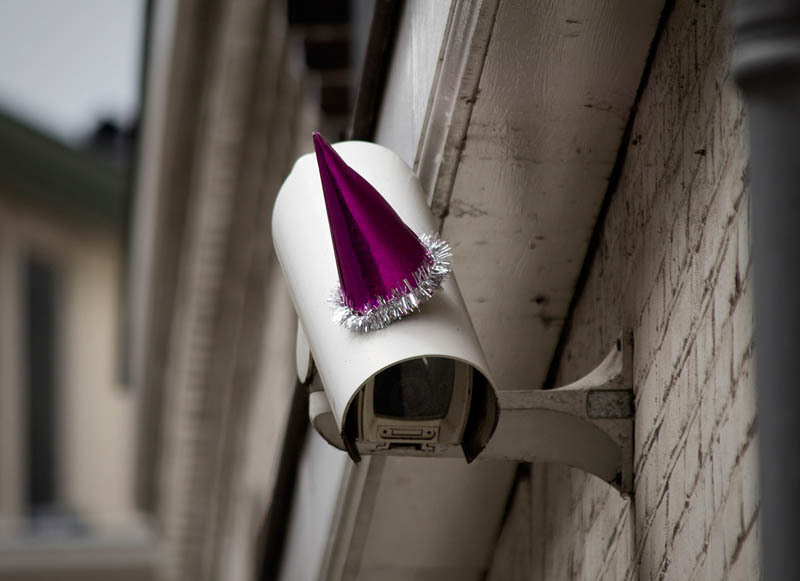 Not just a celebratory gesture, but a great way of drawing attention to the inconspicuous cameras that observe our every move and we so readily ignore. Every day, just that much closer to an Orwellian surveillance state. This entry was posted in Art, Fun, Interaction Design, Pop Culture, Street Art, Stuff We Like. Bookmark the permalink.